Good news! We have enough Fred Meyer $10 gift cards for all BHS homeless students’ winter food drive. However, we still need lots more chunky/ hearty soup. We‘d like to provide 5 soups per student and we almost have enough for 1. We also have special categories that need some big donors. If you are interested in this please contact Nancy Winston or Fran Jensen. We are providing 3 meals a day for 16 days for 91 kids. That’s enough food for 4368 meals. This project includes all kinds of people. If you have a neighbor or friend that is interested in participating, please invite them to contribute or join us. Jesuit High Alums and Holy Trinity church are contributing. Check donations need to be made out to Bethel with the memo stating BHS homeless. 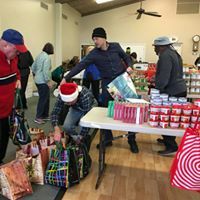 Mark your calendar for Sunday night, December 16th starting at 6:30pm to lay out the food and Monday, December 17th starting at 9am for bag assembly and delivery. Lots of opportunities for heavy lifting!, organizing, and driving. A special thanks to the Wednesday morning Food Cupboard re-stockers-Ted, Judy, Nancy, Sara, Pat, Kathy and Mac- for already helping to stash the food for this project.